If you are familiar with instant messaging / chatting or at least messaging, you might have come across emotion icons aka emoticons. Haven't you? Basically, emoticons are portraying facial expressions which comes in handy to convey your feelings or mood while drawing the attention of receiver. Imagine what if you could be using them in your blog comments as well. That could be fun, don't you think? An emoticon is a metacommunicative pictorial representation of a facial expression which in the absence of body language and prosody serves to draw a receiver's attention to the tenor or temper of a sender's nominal verbal communication, changing and improving its interpretation. By default, in Blogger, even if a comment includes a smiley in text form, it interprets as text. But once you integrate the smilies into your blog, the relevant text smilies (including the smilies in existing comments) will be converted to graphic images and rendered when you view the comment. I've already discussed about adding emoticons for conversations, in 2011. By then Blogger didn't introduce their threaded comments feature for us bloggers. Now Blogger has threaded comments and if your blog has threaded comments enabled, you can follow the instructions and converse with smilies within your conversations. * Smilies are compatible with these comment form types - Embedded, Popup window and Full page. But unless you are using Embedded comment form, your readers won't be able to preview corresponding codes for smilies and they will notice after posting their comments. Hence I recommend switching to Embedded comment form. If you think switching to Embedded comment form is a good idea, read How to Enable or Disable Comments in Blogger and change your comment form type to embedded comment form. 3. Now navigate to Template tab. Note: Before editing your template, you may want to save a copy of it. Read How to Back Up Your Template. 4. 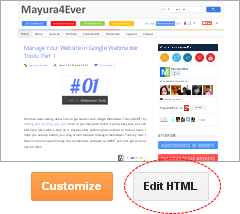 Click Edit HTML button. 5. Now search for the following tag within your template. 6. Add below line of code right before the </body> tag. Note: You might encounter multiple search results and make sure you follow the same steps to each search result you come across. 8. Add below code snippet right before the line you found at above step. 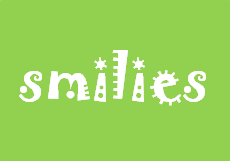 It will display available smilies for visitors above your comment form. 10. Expand the set of code if needs to, and add the code snippet under step 8, right after the above line of code. 11. Now save your template. 12. Go back to view your comment section to find your cute smilies animating. Note: Smilies will only be rendered after submitting the comment, not while you're composing it. I guess these can be used on WordPress too just as they're used on Blogger? More learning lessons for me! Actually, I've adapted the smilies once I've shared here to work with Threaded Comments dear. This script is only compatible with Blogger comment form, but it can be modified to work with WordPress or another blogging platform as well. I'm glad you mentioned Rohan and I'll take a peek into his blog too :) I'm sure there's so much to learn indeed. Thanks to your late reminder, I recall your inquiry on using smilies within posts as well :) But unfortunately, this is valid for comments only dear. Integrating Google+ profile has several benefits which you can read here as well - How to Integrate Your Google+ Profile with Blogger. But when it comes to enabling Google+ comments, I think it's always best to consider Pros and Cons I've mentioned in this post, Kaarunya :) With Google+ comments, the control over comments is less, compared to Blogger comments. Ha ha... That I know for sure and I don't think we can get enough of smilies, ever :) So no "too much". I'm sure you read 'em, Kaarunya :) I wanted to reconfirm as I've got some queries from bloggers after using Google+ comments that there was no Comments tab, comments disappeared after changing URL and so. Emoticons boost readers engagement as so many expressions can't be expressed in words as better as they can be with an image or pic. So they are pretty good to find at the end of comment to use from them of your choice to make your comments more attractive. Thanks a lot for sharing this wonderful tip and the coding to apply it at a Blogger's blog. Wow, don't know how you keep all that in your head. so very smart and willing to share. I'm with Harleena I'm always glad to see you, a smiley for sure! Great tutorial as always Mayura! Definitely sharing it! Excellent description about emoticons mate :) I couldn't have said it better. As you implied, emotion icons can express the emotions of the writer when words fail to grasp 'em or amplify the meaning of words. It's always nice to hear from you as well dear :) Smilies indeed! Ha ha... Actually I don't have to keep 'em all in my head though. Then I'd forget all my favorite desserts ;) Logic does matter, and rest can be referenced when coding. You and Harleena are always kind :) I do appreciate it much. Yippy! Glad you have enjoyed it and appreciate sharing with your friends as well dear :) You rock, as always. You do such great tutorials and this is another great one. I too love using emotions and do it on Skye and Facebook. I have never used blogger but I see you have said in a comment it can be incorporated into WordPress. Can't go without smilies, eh? Smilies all around ;) I'm glad you enjoyed the post and appreciate your compliment as well dear. Of course, you can incorporate emoticons on WordPress, simply by using a plugin too. I know anyone who uses blogger will be happy to get this tutorial from you. Thanks for putting it together with a step by step instruction. If I were to ever transition to bloger your posts would be the ones I read for guidance to set it up :). I wonder if I can get this on WordPress? Hope you're having a great day my friend! Thanks again for a great post! Of course, you can set up smilies for your blog on WordPress without having to follow this tutorial :) You can turn on the built-in smilies option or if you prefer different kind of smilies, you can go for a plugin. Happy New year my friend. When it comes to those smiles, I always think of you because you always put them in the comment section on my blog. It makes me smile. I do use them sometimes, mostly on social media...love to put those emotions up! As usual, I will pass this on, especially for my Blogger friends!